Did you know that tea is one of the oldest beverage in the world? Its consumption is part of many cultures and the custom of drinking tea has a long history. This aromatic beverage comes from Asia and before it became popular in everyday use it was used as a medicinal drink. Although there are six different categories of the tea: white, yellow, green, oolong, black tea and pu’er tea, they all came from the same plant, Camellia sinensis. One of the factors that distinguishes one type of tea from another is the level of oxidation. Black tea is oxidized the most while the white one is barely oxidized. Green tea has a minimal level of oxidation and that’s why it has specific color, taste, and scent. 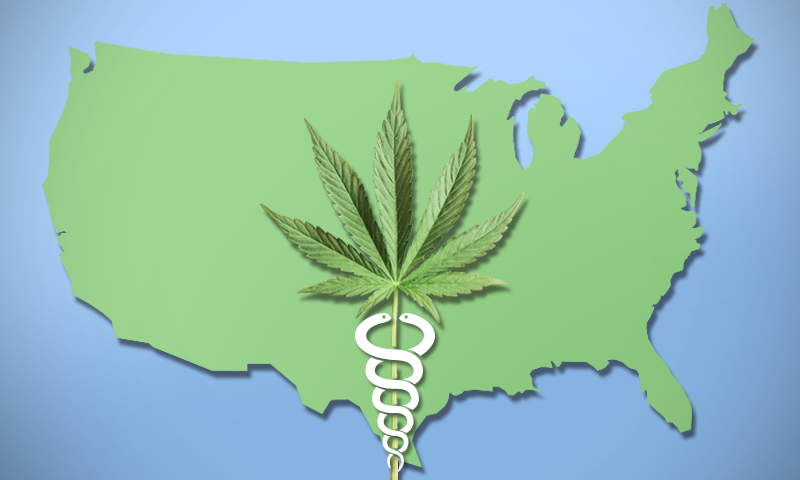 Because of its numerous health benefits it became very popular among consumers all over the world. Since green tea is highly consumed and requires shorter processing than the other types of tea, many business owners are deciding to start a tea business and sell green tea. To successfully run a tea business, as any other business start-up, new tea producers need to create a business plan, think carefully about the quality of the product and pay special attention to their product branding. Informative and well-designed tea labels and packages can have a key role in attracting new customers and retaining the existing ones. Some requirements, such as complying with FDA regulations are essential in proper tea labeling. Whether you’re a potential tea business owner or someone who simply loves drinking tea, you’ve come to the right place. 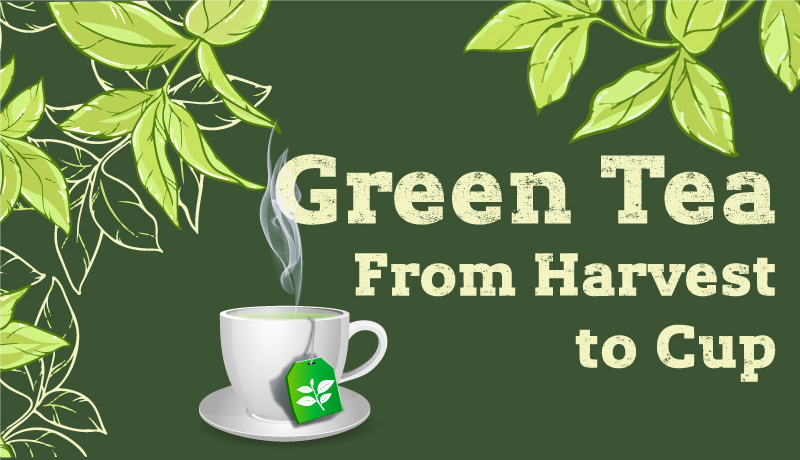 The following infographic will take you through the whole green tea production journey, from harvest to cup. Eco-labels are often confused with environmental labels, defined as labels relating to the environmental performance. But, there are some differences. Eco-labels are a subgroup of environmental labels, and have their own specifications. They are granted by an independent third party, not influenced by the company who is seeking certification for its products. The product can be granted an eco-label only if it’s compliant with the criteria of the labelling scheme. Participation in the eco-labeling scheme is voluntary, yet there are many benefits of using them. The main advantage is that they provide recognition to the brand. Products with an eco-label are those which achieve higher standards of environmental protection within specific product category. Eco-labels are based on life cycle considerations, which means that all of the aspects of product’s life are taken into account. Eco-labels help customers, as well. An eco-label provides a straightforward message to the person standing in front of a product. They allow customers to make a greener choice and easily notice if a product is with an ecological advantage. 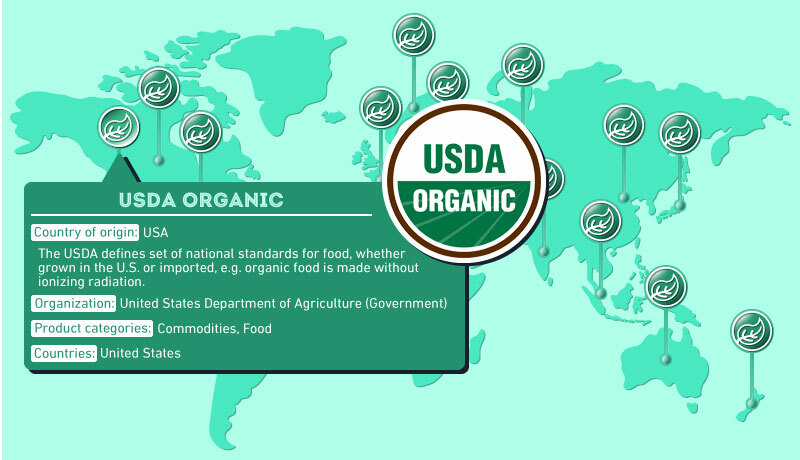 Take a look at this interactive infographic to learn more about different eco-labels around the world. New business owners are facing many challenges. Funding a new business, identifying the proper market niche, targeting the right audience and gaining a good position in the marketplace are only some of them. Even if you have a great business idea that can produce unique customer experience it is still quite difficult for small business owners to get in the marketplace and distinguish themselves from the competition. Nowadays, it’s not enough to combine high quality product or service with unsatisfied demand on the specific market niche. There are many companies out there and the market game can be quite rough for any newly born business. That’s why it is good to know how to effectively present your business to the consumers and how to bring attention to your products. By establishing strong brand identity, people can not only become aware of the existence of your products, but also easily recognize your brand’s name in the marketplace. Strong brand identity indicates that all of your products are made in accordance with your company’s values, which can affect customers to develop loyalty to your brand and easily decide to choose your products over competitor’s. Well designed brand identity elements can effectively communicate message to the target audience. Choosing the ingenious logo, business card stickers or packaging design for your products plays an important role in establishing powerful brand identity. 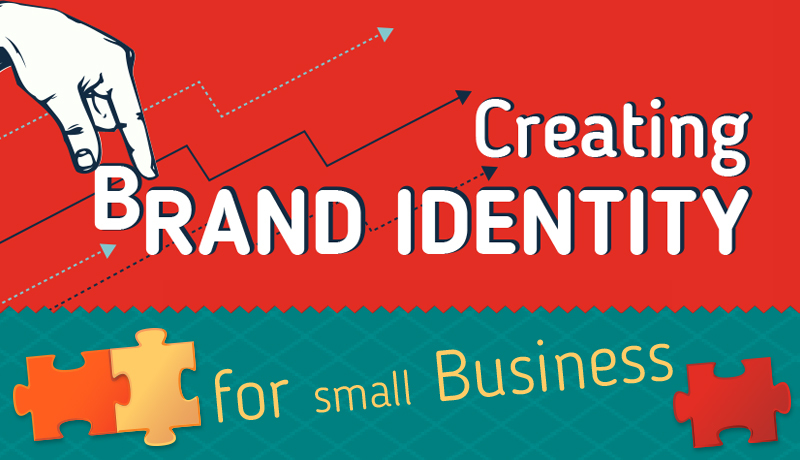 In order to understand how to build a good brand identity, here is an overview of the key elements and how they should be created for gaining success. Nowadays, e-commerce is a huge part of the business world. This well known term among the entrepreneurs refers to buying and selling goods and services through the Internet. Many business owners embrace this kind of selling goods because it brings various benefits. Through online stores producers can reach out to the wider audience, expand their market and at the same time avoid additional expenses by opening numerous physical stores. Consumers can search and buy products at any time from anywhere, so the opportunities for earnings are bigger than the ones in conventional stores. Furthermore, running an online store allows producers to get familiar with customers’ preferences and at the same time develop a deeper relationship with them. One of the most important aspects of e-commerce is shipping. Your product may be the best on the market, but if it is not delivered to the customer in short time and properly, they won’t be satisfied. This kind of a bad user experience can be fatal for your business. That’s why every manufacturer needs to plan out good shipping strategy. 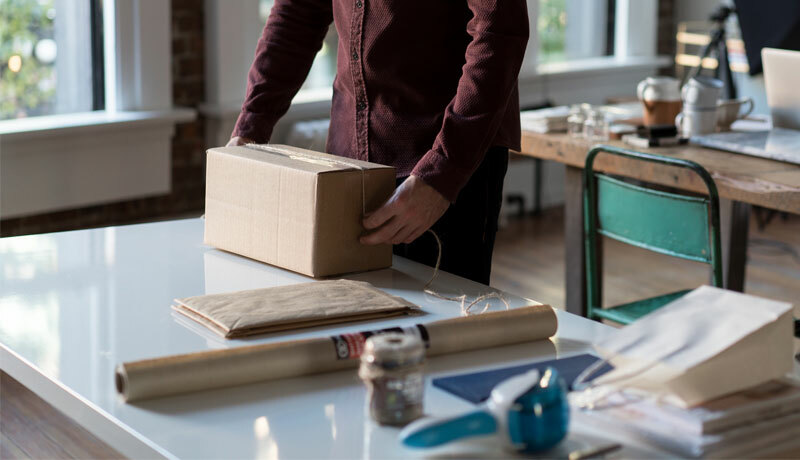 Choosing the right shipping packaging can save your product during transportation, but can also save you from wasting money on the package you actually don’t need. The material, dimensions, and shape of a shipping package should be adjusted to the nature of the goods that you are selling. If you are selling a fragile items you should consider the use of different protective packaging material (e.g. bubble wrap, loose fill peanuts) or additional box inside the shipping package. Finding the optimal size and weight of a shipping box or tube for your product will save your budget from unnecessarily high shipping costs. Among many options for charging shipping rates, three are most commonly used. You can offer free shipping, flat-rate shipping, or calculate the variable shipping rate depending on the item that customer purchased. Free shipping is very popular among customers because the seller bears all the shipping costs. If you choose this strategy, you can pay all the costs or you can increase the price of the product to cover all the shipping fees. Flat-rate shipping is the right option if you have products that are nearly the same size and weight. Then it’s good to consider charging the same shipping fee for every product. Many courier companies can help you out with delivering your product to the customer’s door. They are offering various types of shipping, packaging material and have different prices for shipping services. Most of the sellers cooperate with USPS, FedEx, UPS, DHL and more. Which one will you choose depends on the type of your product. Also, it’s not the rare case that producers use services of different courier companies for different types of products. After you set up your shipping strategy, you should pick the right shipping labels. Shipping labels make your business look more professional and ease your shipping process. What Should a Shipping Label Include? The shipping label is like an ID card of the package. It contains key information for couriers so they can deliver the shipment at the right address and to the right person. Thus, the information on the shipping label needs to be presented in a clear way. Besides this basic information, labels can include various additional data and come in many styles and colors. So, if you want to add a personal touch to the product’s packaging, you can make custom shipping labels. 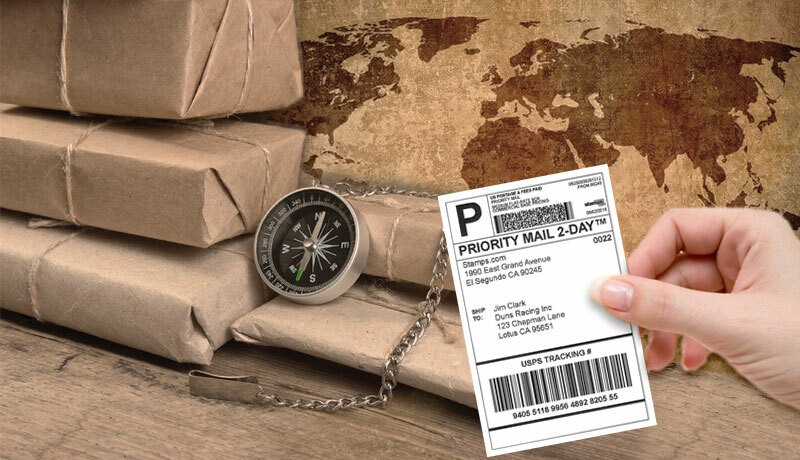 Nevertheless, it is important to mention that custom shipping labels need to be compatible with labeling requirements of the chosen courier. Those requirements apply not only to the label information but also to the size of the shipping label. 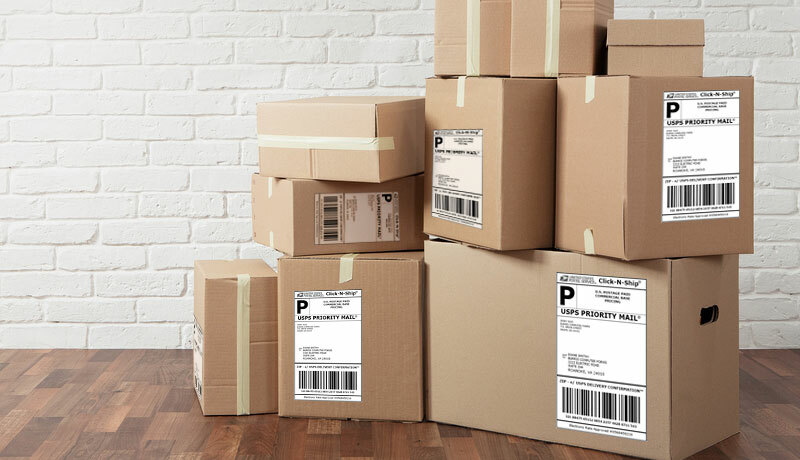 Different couriers demand different dimensions of the shipping labels depending on the package size. Still, some of the common sizes of shipping labels are 4×4 inches, 4×6 inches, and 6×3 inches. 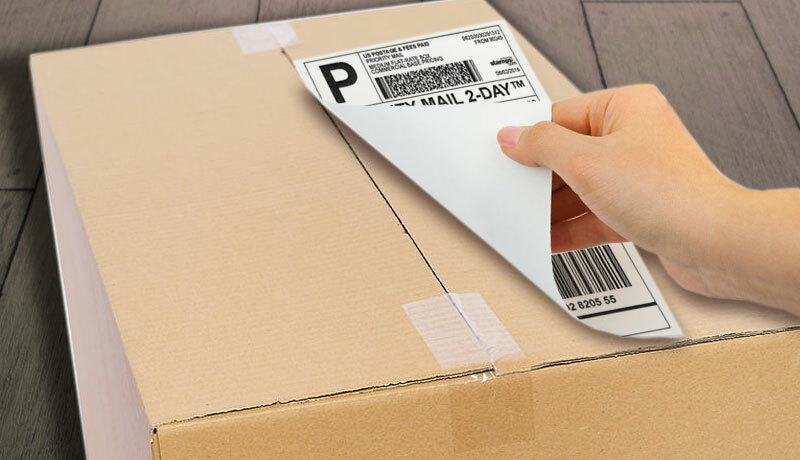 Although, the look of the shipping label is crucial for shipping, placing the label properly on the package can significantly improve the process of delivering product to the customer. Shipping label shouldn’t cover any seams or edges, and shouldn’t be wrapped around any corners of the box. It is recommendable to place the shipping label on the top surface of the box. That way the information on the label will be more visible to the couriers. Old shipping labels can’t be reused. For every new shipment, you need a new shipping label. If the shipping box is reused, all the old labels should be removed. It is good to add a spare shipping label inside the shipping box if the one on the box gets damaged or lost. At first glance, dealing with shipping labels may seem like a small detail of e-commerce business. But, if it’s done properly it can have a huge positive impact on the growth of your business. Labeling is an important part of marketing strategy when you are launching a new product. As a cosmetic manufacturer, you should pay attention to two aspects of a label: design and displayed information. Well designed cosmetic labels combined with relevant text can add value to your product. Shoppers in the cosmetic industry are more sensitive to the look of the labels. That’s why cosmetic labels usually have an eye-catchy combination of bright and pastel colors mixed with silver, gold or sparkle fonts. As a producer you have an option to create labels from scratch or use predesigned cosmetic label templates. Whatever choice you make, playing with different shapes, fonts, colors and label materials can help your product differentiate from the competitor’s. That way your brand can easily attract customers’ attention and acquire new buyers. Furthermore, information displayed on a label is often a decisive factor in the process of buying. It’s not the rare case that consumers decide to buy product completely based on the text they see on the label. Also, by using different symbols you can communicate important information with your customers. 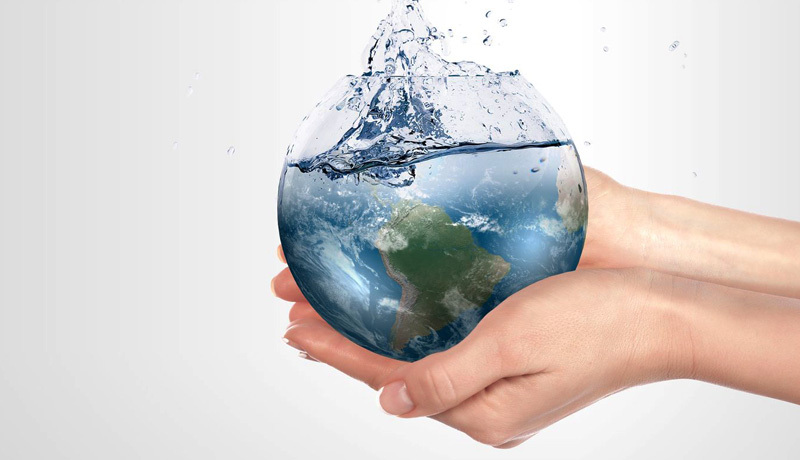 Some of them are mandatory, depending on the country in which you run your business, and some are proof that you keep the environment safe and that your product has some important certifications. 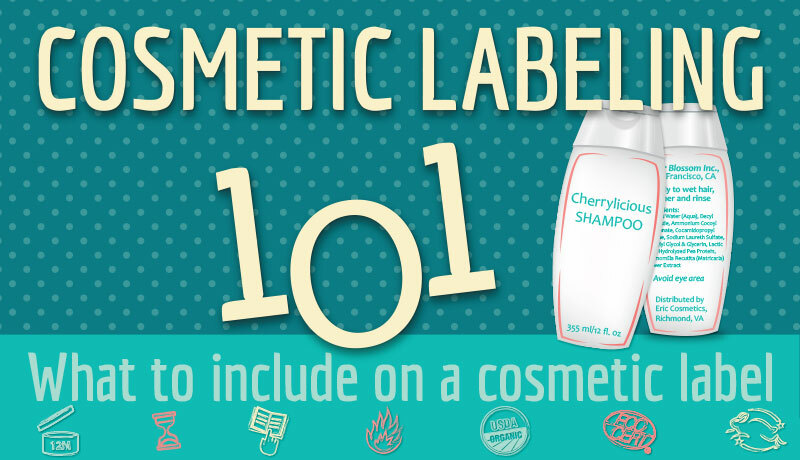 In this infographic, we are giving you the overview of basic information and some common symbols that can be seen on cosmetic labels. Does Your Business Need a Barcode Label? 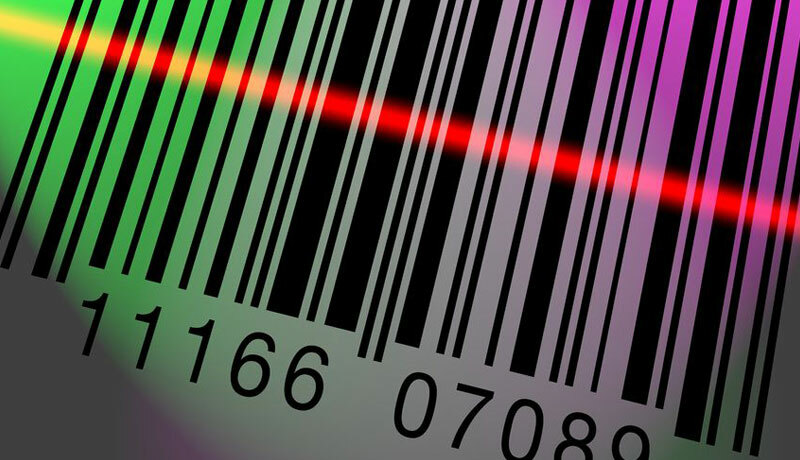 Barcodes are one of the most important inventions of the 20th century. The need for this kind of invention became apparent in the 1930s when grocery business began to boom. However, the patent itself wasn’t issued until 1952 when the first, four-lined, barcode system was developed. Barcodes serve the purpose of transferring product information via specially designed barcode scanners. Prior to introduction of barcoding system, the system of inventory keeping was based on clerks whose job was to list the products manually. 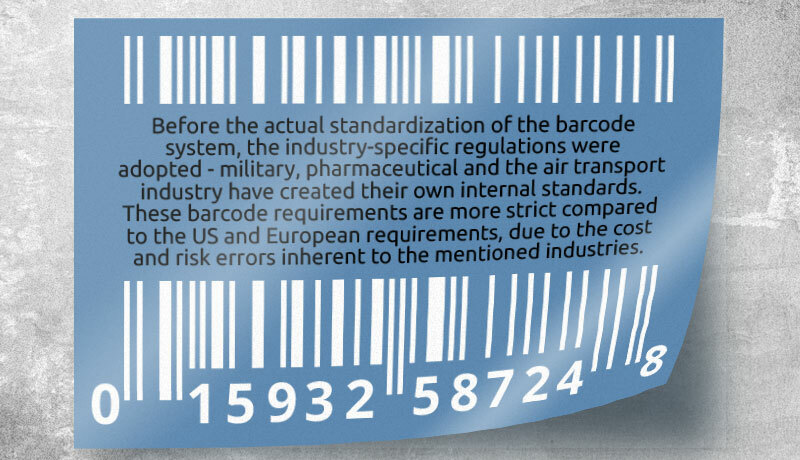 Not only did the barcode labels make the job easier and faster, they also reduced the chance for human error. Though it all began in the grocery industry, nowadays, barcode labels are used in the variety of other fields, and can be found on almost any product or package. As a matter of fact, barcode labels now represent a pervasive element of modern retail industry. When it comes to modern technologies in business, no company can afford to fall behind, and using barcode technology provides benefits for business in any industry there is. Though barcodes are sometimes underestimated as a method of saving time and money, they are proven effective. Barcode labels could be essential for taking your business to the next level. The most apparent benefit of using barcode labels in your business is eliminating data entry errors. The possibility for making an error for manually entered data is much higher compared to scanning a barcode label. Using a barcode system reduces employee training time, as well. Teaching new employees how to handle an entire inventory or pricing scheme is in the past, since mastering the hand-held barcode scanners takes only a few minutes. Other than being accurate and reliable, barcode labels also streamline the workflow. Tracking down every piece of information, material or product which moves within and outside of the organization can be time-consuming. Barcode labels improve the efficiency by automating this process. Barcode labels enable precise inventory tracking. Companies that sell their products using online portals can provide customers with real-time inventory updates. One example would be allowing users to see if the item is available for order or currently out of stock. Tracking equipment’s location during shipping and receiving reduces the time spent on searching for the items and replacing the ones that are presumed to be lost. In other words, by using barcode labels, you can maintain control over inventory, leading to lower overhead. Implementing barcode labels into your business can do wonders for branding, too. It’s no longer necessary to stick to the plain barcode design. Regular black and white stripes can be turned into fully functional piece of art. Designing your barcode label can make your products stand out from the others and, eventually, improve your business. In order to print barcode labels you have to decide which barcode is the right one for your business. Barcode started out with a simple 1-dimensional design consisting of black and white lines, but has come a long way since then. Today, not only do barcode labels come in many shapes, sizes and label designs, but there are numerous types of barcodes and scanning systems suitable for both warehouse and manufacturing environments. Two most commonly used 1-D barcode systems are UPC (Universal Product Code) and EAN (International Article Number). Since the UPC-A was developed with little regard to the situation outside the US, the European organization dealing with the system of product identification developed EAN-13. This type of barcode was created to be as compatible as possible with its predecessor, with additional information about the country of manufacturer. Though UPC-A and EAN-13 are the default barcode versions, both barcode systems have smaller versions (UPC-E and EAN-8) for packages with limited space available, like chewing gums. Both UPC and EAN are ISO (International Organization for Standardization) and GS1 approved. GS1 is a non-profit organization which maintains global standards for business communication. The organisation is present in more than 100 countries and it’s the official source for assigning company prefixes and creating barcodes in all industries. Although both barcode systems are widely recognizable, it’s important to mention that some countries have their preferences. Since there are no indications that the US and Canada will switch to the EAN, if you are doing your business within the borders of these two countries, the safer option is to get the UPC barcodes for your products. This is, also, a viable solution because UPCs can be transformed into EANs, but not the other way around. However, if you are selling worldwide, you might consider putting both the UPC, and EAN numbers on your barcode label. Barcode are inexpensive to design and print. Moreover, barcode labels can be attached to any kind of surface, be it paper, plastic, glass, wood, or metal. 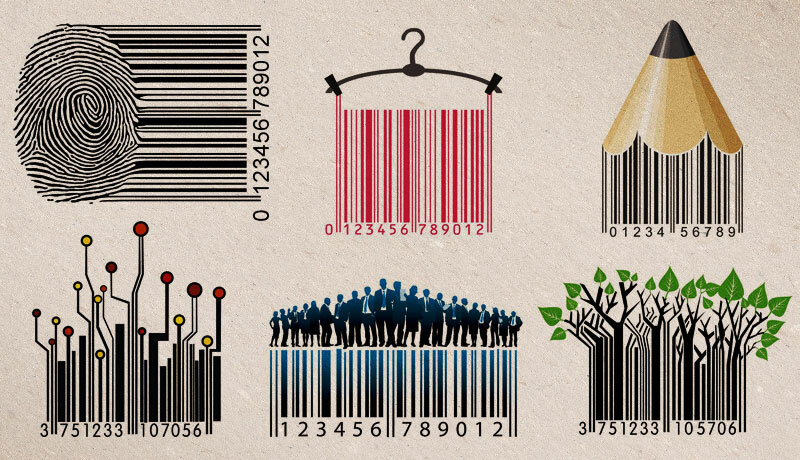 Barcodes are extremely adaptable. You can create custom barcodes to best fit your numbering and inventory system and use them for any kind of data collection. However, before you bring printing barcode labels to action, make sure to avoid common barcode label problems.